We tried Shoppr and here’s what we found. You'll never miss out on an exciting discount! 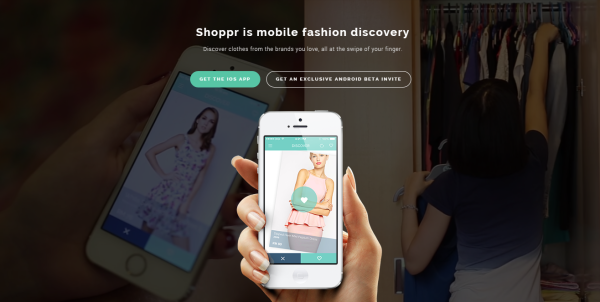 Shoppr is an app that allows you to swipe your way to looking good, where styles and outfits are recommended to you at your fingertips. With tons of ecommerce companies like Tokopedia and Alibaba seeing huge bucks in 2014, the competition has been heating up rapidly and respectively, main big brands are also trying to jump on the bandwagon by building up their own presence online and through apps. On the receiving end, customers end up having to contend with a muddle of store apps on their smartphone screens. Chief marketer and co-founder of online store aggregator app Shoppr, Sylvia Yin, and a bunch of college friends realised this a year ago when they found themselves downloading many apps which took up too much space on their devices. Yin found these apps to be clunky and badly developed, comparing her experience as akin to having an assistant sales person follow you around in a store. She did not want to create an app that continually tried to push people products to buy, as she realised most consumers wanted to window browse. Kendrick Wong, one of the founders, then decided to pull a team together to develop a light and fun shopping app that can be catered to the masses. Recently, it does seem like everyone’s most 'productive' activity at home, out and about or even at work is shopping. Perhaps it’s an activity that no one can disagree with merely because it gives you that therapeutic comfort of well-earned money spent, that exhilarating anticipation of those glossy packages from online stores, or a convenient excuse to catch up on what’s new in fashion with close friends. Shoppr draws comprehensively from dating app Tinder’s style of swipe-to-discover methodology and once you have logged into the app via Facebook, the app uses what Yin calls a “social clustering algorithm” to show you what sort of products you might like based on your page likes, interests or even personal bio. They can calibrate your style and likes to decide which outfits to display or recommend. Thereafter, it is just the simple matter of swiping left if you like it or right if you don’t – just like TINDER. Users are also able to search and buy whatever they want directly via the app, which means no more time wasted being re-directed to respective brands’ stores to checkout. Notifications are also given to users directly whenever there are discounts released by brands. So, you will never miss out on a great deal! From our experience, it seems as though the more you swipe, the better the recommendations become and the app attach attributes to each product for the app to get a better sense of what we want. On Shoppr, you are recommended fashion that suits your body type, lifestyle and budget, are updated on real-time sales alerts, and get fashion tips from style guides covering the latest trends and celebrity fashion. Shoppr is available on www.shopprapp.com, and on the iOS and Android app stores. The target market consists of predominantly tech-savvy females ages 18 to 32. Women who are fashion forward, trendy, and who love browsing and acquiring clothes online. 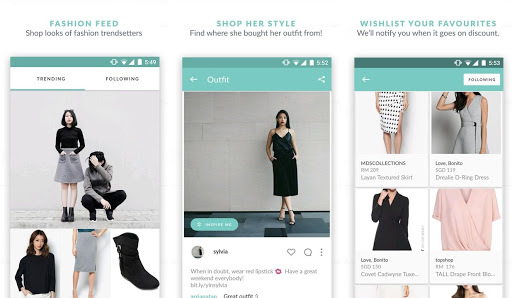 We realised after trying out the app that it is made easier if you are acquainted with sourcing outfits from other mobile apps like Instagram. They have a single product display for a clearer, more precise look at what we are buying. You swipe right for yes (and the item goes straight into your wish list), or swipe left for ‘no thanks’. The discount notifications are advantageous, because you will never miss a sale again! In the buy section, there is a consolidated checkout for all the different brands you can find. Shoppers using the app will get to choose the types of dresses either for work, midi or muslimah – you can even choose the colours that you would like. 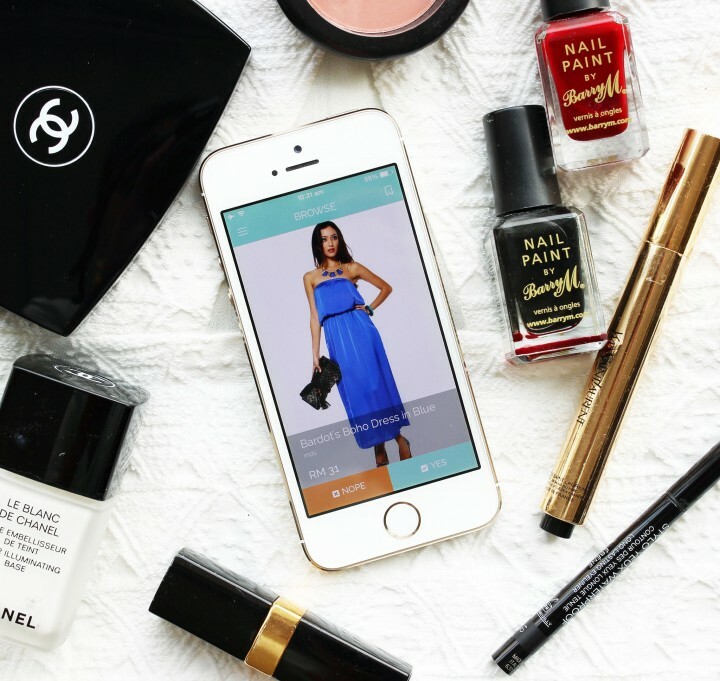 The special perk is that when you add a dress to the “wishlist”, the app will alert you whenever the dress goes on sale. You will never have to freak out over an unforeseen sale ever again. Users can actually discover different styles from various brands. If you like a style online or an #ootd shot you love on social media, you would be able to use the ‘Find The Look’ function on Shoppr to find particular pieces of clothing that match closely with what you see on another Shoppr user. The Shoppr app will then pull in pictures and information from these brands for you to view. 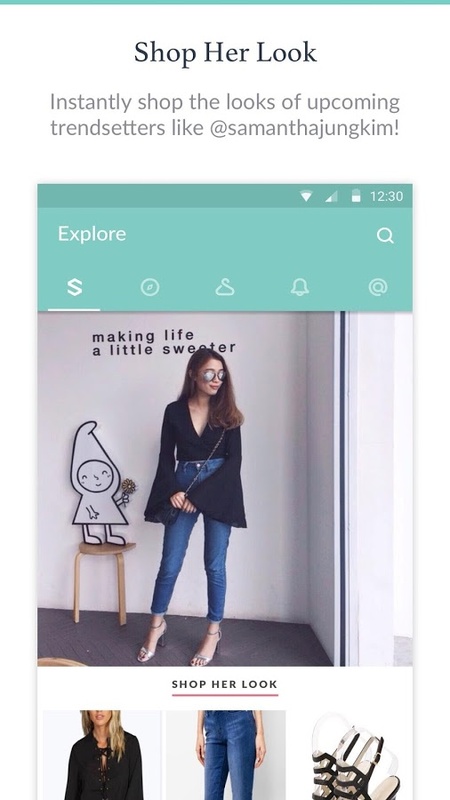 The app allows women to inspire others with their fashion styles by uploading their personal OOTDs (outfit of the day) as well as get inspired by the OOTDs uploaded by other customers. It’s essentially a community where people feel free enough to explore and discover styles as well as inspire others with their personal styles. What we realised while using the app is that it is a great platform for us to find inspiration to style ourselves for dinners, brunches or formal events. Like Instagram, users of Shoppr can follow other Shoppr users, like and comment on their outfits, linking everyone together through one app. When looking for fashion inspiration, we turn to the Outfits page to spot what the trendsetters and fashion bloggers are wearing. We recall this one time Shoppr recommended a Chloe crossbody bag lookalike seen on Aimee Song (@songofstyle) for a fraction of the price. We were so happy to achieve this look for less with a bag sold by Blaqmagik Lvrs thanks to their image recognition technology! There are no direct competitors to Shoppr in Southeast Asia but apps like Mallzee exist in Europe. 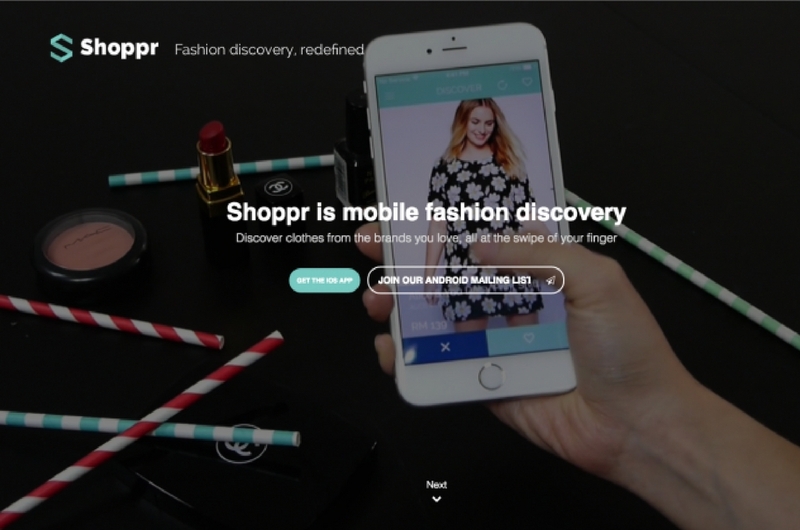 Shoppr however, seems more focused on user behavior and is highly curated by comparison. Think of Shoppr as your fashion best friend. Whenever you have an event to be present at, you turn to Shoppr to search for, let's say, a maxi dress at the price you desire, because you can filter products by price. 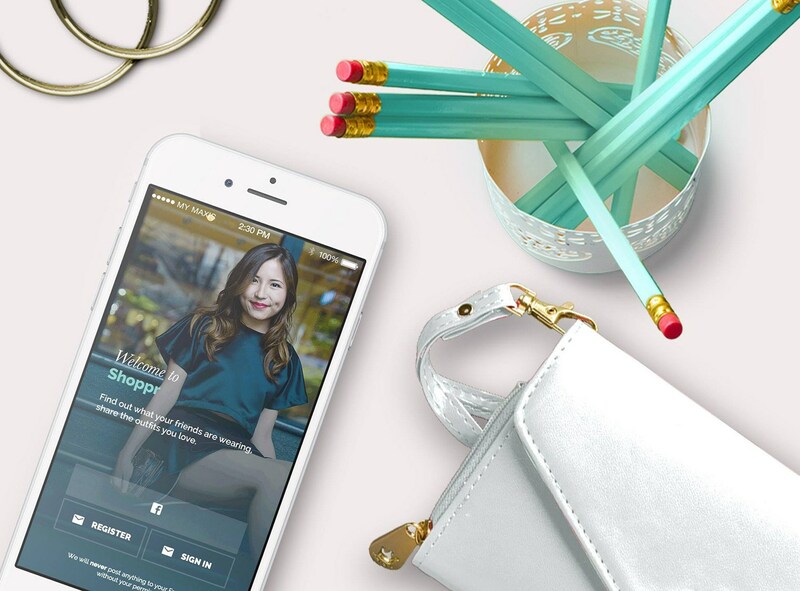 Users can organise ideas on how to style their look thanks to the latest style guides available on Shoppr. Even when you are not ready to buy, you can browse the items that have been personally recommended because there's always something you might want to save to your wishlist. This way, you get notified whenever the items you have saved goes on sale. Furthermore, we discovered new and upcoming fashion brands on Shoppr. In addition to favourite brands like ASOS, Zalora, Nasty Gal, Boohoo and Missguided, we’ve discovered Supre, The Tinsel Rack and Stylenanda, and have added them to our list of favourites. There's something for everyone on Shoppr! At the end of the day, if you ever had trouble looking for the perfect party dress or wondered how to style your culottes, Shoppr is an app that aids girls with just that.